Students are an important political force in many sub-Saharan African states. Particularly when the industrial sector is relatively small, and as a consequence, organized labour is rather weak, movements of university and high school students, together with labour unions in the public sector in general and education in particular, are often central actors in struggles for democratic and social rights. Burkina Faso is a case in point. Since formal independence in 1960, the landscape of social struggles in the country is characterised, as in many other African states, by a strong student movement, whose claims and aims are far from being limited to educational policy but have addressed the very political and economic system itself. Lila Chouli traces the history of Burkina Faso’s student movement and its core organisations: the Union Générale des Etudiants Burkinabé (UGEB), the general student union for the country as a whole, and Association Nationale des Etudiants Burkinabé (ANEB), UGEB’s branch at the University of Ouagadougou. Chouli demonstrates how the movements development is closely entangled with the general political struggles in the country; how organised students have positioned themselves in opposition to the state and ruling elites, and thus have faced and still face severe repression. Outstandingly informed and based on primary sources, Lila Chouli traces the intensive struggles by Burkinabé students in the 1990s, a period when activists were frequently ‘disappeared’ or killed. The first and probably best-known case was the murder of Dabo Boukary in May 1990. Until today, UGEB and ANEB demand the circumstances of his killing to be investigated and those responsible for it to be convicted. Though the student movement, since then, has achieved many things—for instance, the creation of the ‘Aide FONER’ (Fonds National pour l’Éducation et la Recherche, National Fund for Education and Research), a refundable grant for undergraduate, graduate, and doctoral students. Since massive protests in 1996-1997 student demands have remained largely the same: The expansion of state grants, the improvement in quality and reduction in costs for canteen meals and student housing, and of public transport to the campus, the improvement in teaching and learning conditions, e.g. especially access and condition of lecture rooms and finally the guarantee of democratic rights – freedom of assembly, of association, and of expression – for student organisations. With regard to the terrible living and studying conditions that the overwhelming majority of Burkinabé students face, this is hardly astonishing. But once again, protests expand to address the impacts of ‘structural adjustment’ policies that have been promoted by the international financial institutions, for example the doubling of enrolment fees in 2002. 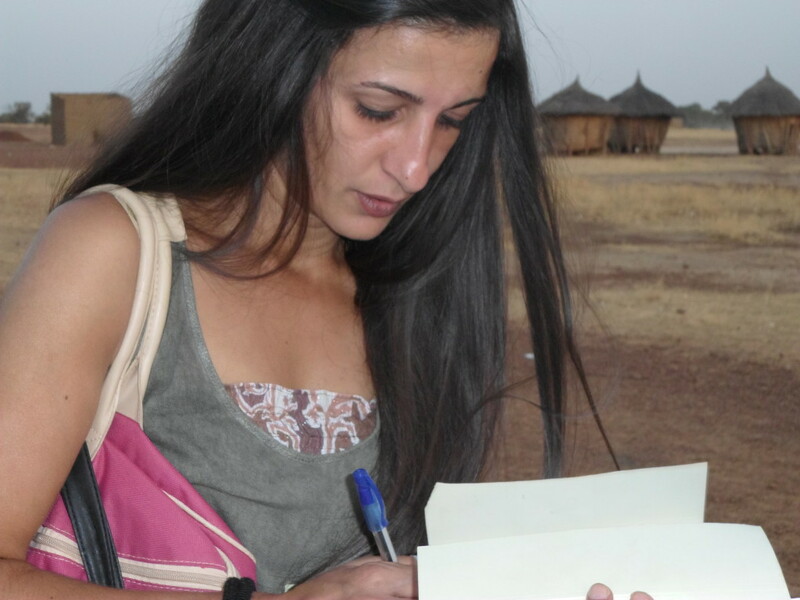 This is Lila Chouli’s third book, alongside numerous articles, on social struggles in Burkina Faso, after her first volume Chronique sur le mouvement social de 2011 published in 2012 and Le Boom minier au Burkina Faso in 2014. Tragically, Lila is no longer with us. The author, born in Northern France in 1977 into a Franco-Algerian family, died in 2016. The foundation Gabriel-Pér’, a leftist think tank established on the initiative of the French Communist Party, has published this book posthumously. Lila Chouli was not able to write the concluding remarks herself, instead, Laurent Ouedraogo, a long-standing activist of the student and youth movement himself took on the task to write a afterword. The book was put together by her friend and comrade Pascal Bianchini who wrote the preface. It is a very special book—not only because there is hardly any other such detailed, insightful, and thoroughly researched study on an African student movement. Very few external observers have an understanding of the dynamics and motivations of social movements in Burkina Faso as Lila Chouli. Lila never saw herself as a one-sided researcher, journalist, or activist; her works were rather shaped by her being convinced that these are in no way activities that could be separated from one another—and that, accordingly, a self-designation as ‘activist scholar’ hardly made any sense to her. The book features a precise analysis on the basis of profound and encompassing research. Once again, Lila Chouli has demonstrated that such an analysis and a distinct ‘self-positioning’ go hand-in-hand. In this sense, the book launch that took place at the University of Ouagadougou in late April 2018, organised by UGEB together with the largest and most important Burkinabé human rights organisation (the Mouvement burkinabè des droits de l’Homme et des peoples, MBDHP), was a tribute to an outstanding internationalist. With Lila Chouli, social movements in Burkina Faso have lost a distinguished comrade. ‘Peoples’ Revolts in Burkina Faso’ in Firoze Manji and Sokari Ekine (eds), African Awakening: The Emerging Revolutions, Fahamu Books, Oxford, 2011, pp. 131-146.